Whether you work with industrial gases or manufacture components for mobile working machines, you deserve more from your instrument supplier than just off-the-shelf technology. You need a supplier development partnership with a company that has a deep knowledge base and wide-ranging expertise in your industry to help you develop innovative solutions and improve the bottom line. An instrumentation supplier should be so much more than a provider of products or services. 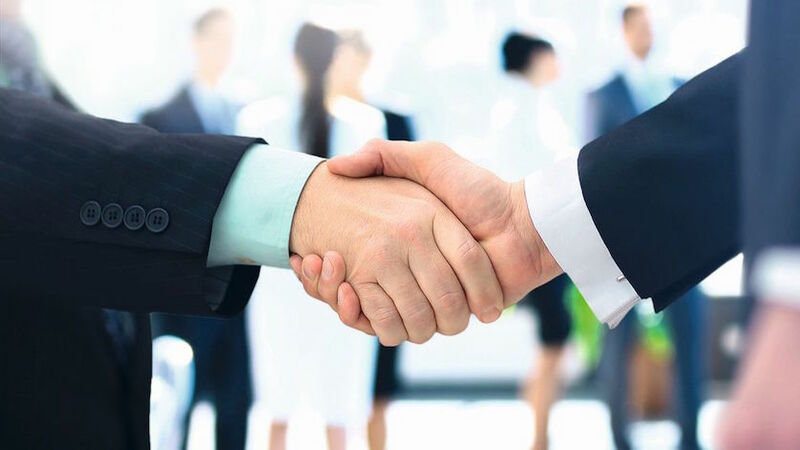 When you engage with WIKA USA, you enter into an active supplier development partnership to develop and maintain competitive advantages for your business. This collaborative process means supporting and leveraging the skill sets of both teams to achieve a balanced purchasing relationship. For our partners in a wide range of industries, WIKA is pleased to offer a series of workshops that focus on production, logistics, and innovation. These one-on-one sessions are designed to measure priorities and identify process pain points – with the goal of providing creative, cost-effective solutions. WIKA has designed three types of one-on-one consultations: products, logistics, and value innovation. This workshop is, in essence, a brainstorming session involving your technical staff and WIKA engineers. We work together to systematically analyze your operations and then come up with solutions. Industry research shows that a well-designed supplier development program can lead to a 30–40% improvement in the first-pass part approval rate. First-pass approval is a big deal in manufacturing, as key part redesign costs can easily hit six or seven figures. Your business relies on a dependable, responsive supply chain. In the real world, however, customs and infrastructure failures can cause delays and interruptions. WIKA proactively minimizes these risks with a system of redundancies. Our network of subsidiaries, located in 40+ countries across six continents, means WIKA has a manufacturing presence in all corners of the globe. In a Logistic Workshop, WIKA works with our partners to find that just-right balance of cost and supply chain stability. Coming up with a better differential pressure gauge. A major equipment manufacturer worked with a supplier whose differential pressure gauges frequently displayed incorrect levels. Understandably, the manufacturer’s end customers were unhappy because they thought they weren’t getting their money’s worth. Frustrated by that supplier’s inability to rectify the problem, the equipment manufacturer reached out to WIKA USA, whose experts analyzed the problem during a Value Innovation Workshop and then designed a new gauge to meet the manufacturer’s requirements for accuracy, reliability, compatibility, and temperature ranges. Replacing an outdated mechanical system with one that is digital and corrosion-resistant. A manufacturer of industrial valves, regulators, and actuators wanted to replace the outdated mechanical technology of its digital valve control (DVC) units and digital process controllers (DPCs). And because they work with sour gases, they also wanted to minimize corrosion, which could lead to instrument failures. A full day of lively brainstorming and discussions, along with follow-up sessions, eventually led WIKA USA’s experts to develop a proprietary pressure-sensing system that worked with all their applications. What’s more, the solution was affordable, which further delighted the client. All three workshops have one goal: to improve your business while simultaneously reducing your costs. Discover the many advantages of a supplier development partnershipwith WIKA USA. I have been working with WIKA for three years, starting out as a Product Specialist. As a result of my comprehensive knowledge of WIKA products and applications in the machine building market, I was promoted to a Market Segment Manager position, and, more recently, became Director of Sales for Machine Building Applications. I strive to consistently inform my relationships with our customers with curiosity and a drive to find innovative, cost-effective solutions for them.